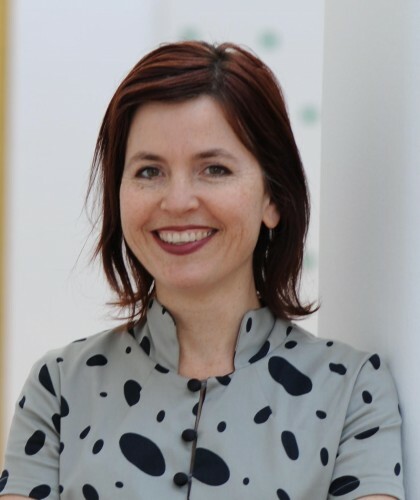 Katia Baudin is Deputy Director and Senior Curator of the Museum Ludwig, Cologne since 2008. She previously directed the contemporary art and design museum FRAC Nord-Pas de Calais in Dunkirk (1997-2004), and then the art and design university École Supérieure des Arts Décoratifs in Strasboug (2004-2007). Her fields of specialty and interest lie in interdisciplinary relationships and identity issues between the fine and the applied arts. She has curated exhibitions, amongst others, on the Russian avant-garde (2009-11), Cosima von Bonin (2011), Franz West (2009), Leni Hoffmann (2009), Plamen Dejanoff (2006), Bik van der Pol (2002), Miriam Bäckström (2001) and Tobias Rehberger (2000), as well as major thematic exhibitions on the art-design dialectic in Lille, France (“Traffic d’influences: Art et Design”, 2004), Selb, Germany (“Utopias of the Everyday: Artists and Designers Experiment with Porcelain”) and as artistic director of the European Triennial of Small-scale Sculpture in Murska Sobota, Slovenia (“Split Identities: Objects at the Interstice of Art and Design”, 2010). She holds degrees from Hofstra University on Long Island (BBA) and the Sorbonne Paris-IV in Paris (Master of Art History). 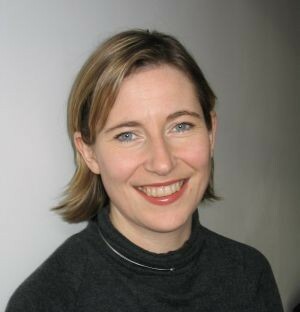 Annie Fletcher is currently Curator of Exhibitions at the Van Abbemuseum, Eindhoven, and tutor at De Appel, Amsterdam. She recently curated After the Future at eva International Biennial of Visual Art in 2012. Other projects include solo exhibitions or presentations with Sheela Gowda, David Maljkovic, Jo Baer, Jutta Koether, Cerith Wynn Evans, Deimantas Narkevicius, Minerva Cuevas, and the long term projects, Be(com)ing Dutch (2006-09) and Cork Caucus (2005) with Charles Esche. Annie Fletcher was co-founder and co-director of the rolling curatorial platform If I Can’t Dance, I Don’t Want To Be Part Of Your Revolution with Frederique Bergholtz (2005-10). As a writer she has contributed to various magazines including Afterall and Metropolis M. She is currently working on the Museum of Arte útil with Tanja Bruguera, which will open in the fall of 2013 at the Van Abbemuseum and a solo exhibition with Hito Steyrl opening spring 2014. Tihomir Milovac (1956) is art historian, currently Head of the Experimental and Research Department at the Museum of Contemporary Art in Zagreb. He graduated Art History at Zagreb University 1982. Since 1984 as a Museum curator he has curated numerous of solo, group and thematic exhibitions and other visual arts projects in Croatia and abroad, most often engaged in new, contemporary phenomena in visual arts, especially in new media within last few decades, but also engaged in the phenomena of historical avant-garde. In the museum praxes he developed curatorial role as a producer, working with the artists on their new productions. He edited many publications and catalogues and curated exhibitions as like Ukrainian Avant-garde 1910–1930, (collective) 1990/91; Andres Serrano: Budapest / Morgue, 1996; Jan Fabre: Passage, 1997/98; The Future is Now – Ukrainian Art in the Nineties, (collective) 1999; A Place I’ve Never Been To (collective/international), 2000; Mladen Stilinović: Cynicism of the Poor, 2001; The Baltic Times – Contemporary Art from Latvia, Lithuania and Estonia, (collective) 2002; The Misfits: Conceptual Strategies in Croatian Contemporary Art, (collective) 2002; Sanja Iveković: Women’s House 1998-2002, 2002; System of Coordinate – Russian Art Today, (collective) 2004; Insert – Retrospective of Croatian Video Art, (collective) 2005; Kristina Leko: America, 2005; A Pair of Left Shoes-Reality Check in East Europe (collective/international), 2009; Ivan Ladislav Galeta: Point Zero Landscape (retrospective), 2011; Mladen Stilinović: Zero for Conducting (retrospective), 2012. In 2006. was co-author of the musicological conception “Collections in Motions” for the permanent collection display at the Museum of Contemporaty Art,Zagreb opened in 2009.